I adore desserts with almonds. Almonds are nutty and wholesome without being over powering to a dish like pecans or walnuts. 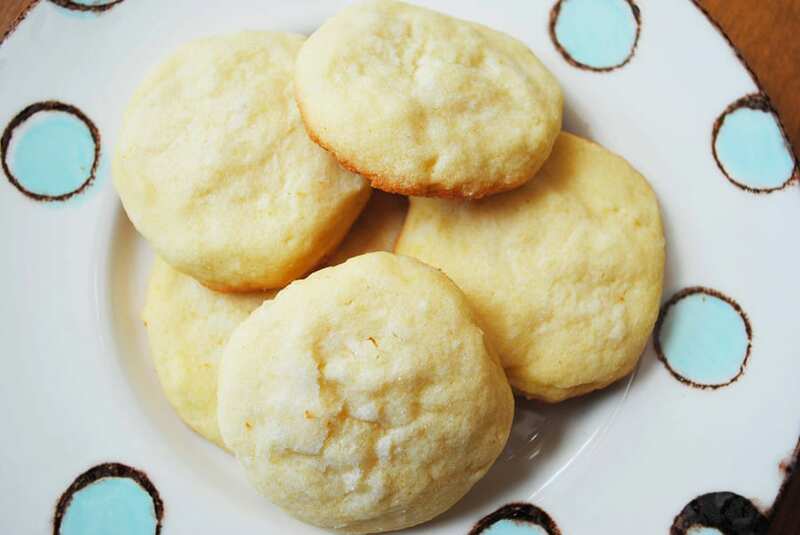 They are beautifully white and can be ground into a fine powder to use instead of flour. 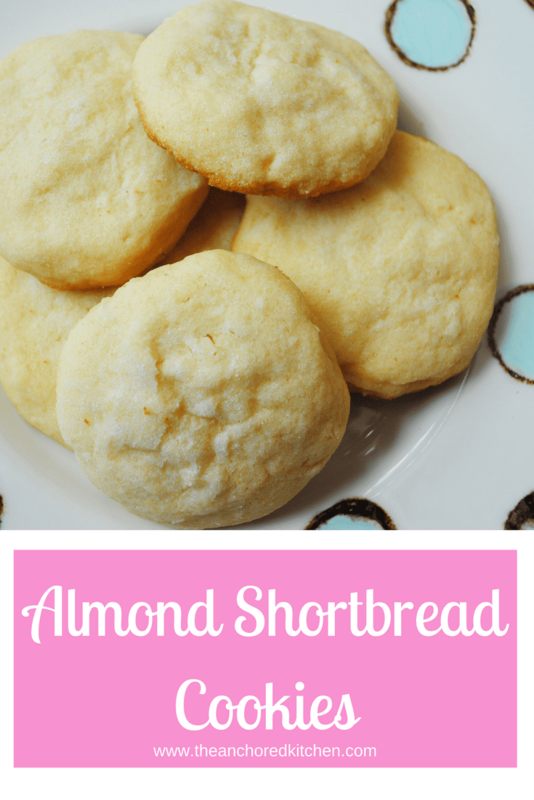 Almonds are so versatile and they add just the right hint of flavor to these shortbread cookies. 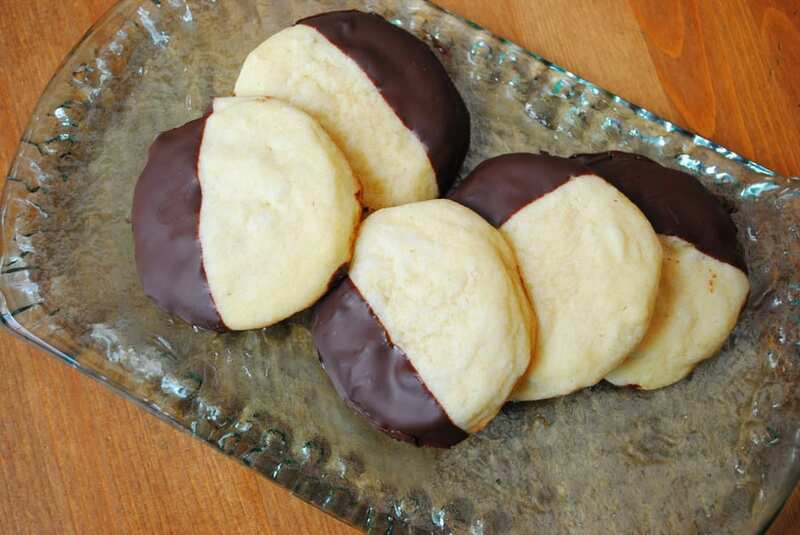 I originally came up with these after tasting an almond cookie that was supposed to be spectacular. I remember buying the package of cookies and opening them in my car to try one, and I was so disappointed by what I had tasted. It was a sugar cookie essentially. I couldn’t stop thinking about how delicious an almond cookie could and should be, so I developed these, and I LOVE THEM. I also love that they can be relatively simple or dressed up with chocolate. Nutty and delicious, with just a slight almond flavor these are wonderful cookies on their own or dressed up with melted chocolate. Cream together the butter and 1 C sugar. Once light yellow and slightly fluffy add in the salt, vanilla extract, almond extract, egg and additional yolk. Mix until well combined. Add in the flour and process until well incorporated. Then add in the chopped almonds and mix until just combined. Put remaining ¼ c of sugar into a small bowl or plate. Roll out a tablespoon size of dough into a ball and place in the sugar. Pat it slightly flat. Remove from the sugar and place on a greased baking sheet sugar side up. Bake for 10 minutes or until nicely golden brown on the bottom. Put 1 C chocolate chips (use semi sweet or dark chocolate depending on your preference) in a microwave safe bowl with 1 tbsp coconut oil. Melt for 1 minute, stopping the microwave every 20 seconds and stirring the chocolate until it is smooth. Dip your cookies in the bowl and place them on a piece of parchment set inside a half sheet pan and allow them to cool in the fridge for 1 hour.